Starting a business comes with a lot of responsibilities and obligations. 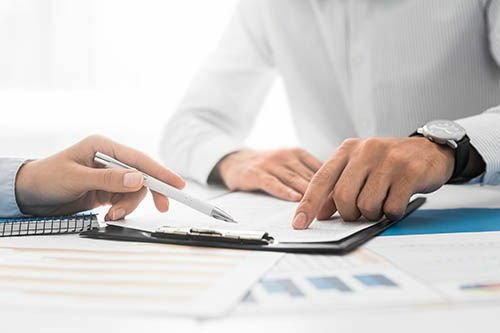 From forms to contracts as well as business operations, it’s best to first examine your business needs before deciding whether or not you will need an attorney. Registering and forming a structured business is usually the first decision a business owner must make. Deciding on what business structure to set up needs to be considered carefully as each entity has its pros and cons and required paperwork in each state. To read more about which entity might be right for you, see: What Is The Best Business Entity Structure For Your Business? Are you in compliance with Employment Laws? There are many federal and state employment laws that apply to businesses. Breaking these laws can result in litigation, fines or penalties. It is important that your business is in compliance with these laws which include anti-discrimination laws, health, and safety regulations as well as wage and hour laws. These are just a few of the state and federal laws with which your business might be required to comply. If you don’t know the laws, it is imperative to speak with an attorney to avoid breaking the law. Does your Intellectual Property need to be protected? Intellectual property falls into three different categories: copyrights, trademarks, and patents. Within a business, these are used to identify and distinguish one business from another and can include a logo, slogan, packaging, original content works or patented works. A business lawyer can advise as to which intellectual property category will best fit your needs. What contracts are necessary in order to protect my business? Contracts are necessary to protect your business and clarify the rights and responsibilities of each party forming the agreement. These contracts can include employment relationships, leases or other major transactions that clarify the rights and responsibilities of each contractual party as well as provide a remedy if disputes were to arise. A lawyer can draft and review major contracts and routine agreements that will protect the business owner while conducting all routine and one-time business dealings. Does my business need an Operating Agreement? Operating agreements and bylaws are important documents for operating your business. These documents help to ensure that decisions being made regarding meetings, ownership and shares are made judiciously. Lawyers can prepare operating agreements can be written to your unique business needs. What other risks can a business lawyer help me to avoid? Every business is unique. In order to protect against risks, business attorneys can help you take proactive steps to avoid any potential pitfalls. Getting business advice and legal help from an experienced business attorney ensures your business begins and runs in the most efficient way possible. Attorneys are important because they can help navigate the many forms required for starting a business and they understand the many ways to protect a business owner. If you are considering forming a business, it is always a wise decision to speak with a business-focused attorney to help guide you through the often complicated process.